Dr. Akira Endo discovered the first anticholesterol statin called compactin (previously known as ML-236B), which he isolated from the fungus Penicillium citrinum in 1976. Dr. Endo studied over 6,000 types of fungi before he found one that reduced the amount of cholesterol in the blood, which he named ML-236B. It was able to block the enzyme HMG-CoA reductase, the critical rate-limiting step in the cholesterol synthesis pathway. Cardiovascular diseases have been a major health burden in most nations around the world for many decades. Moreover, coronary heart disease (CHD) is also known to be responsible for a number of fatalities globally. These CHD fatalities are shown to be closely associated with hypercholesterolemia. Although cholesterol is important to the functioning human cells, its excessive level can lead to a formation of cholesterol plaque inside of arterial walls. The rupture of this plaque can result in the formation of blood clot inside arteries, thus reducing or blocking the blood flow, leading to a condition known as heart attack. Dr. Endos pioneering work in discovery of Statin has been recognized as a major milestone to the prevention and treatment of coronary heart disease as well as other major vascular diseases. The discovery of Statin by Dr. Endo has shifted the paradigm in coronary heart disease from an unpreventable to a preventable one. His discovery also led to an effective treatment of hypercholesterolemia and a significant reduction of coronary heart disease and stroke, thus saving millions of lives worldwide. 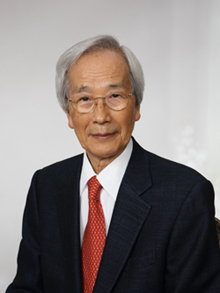 Dr. Akira Endo obtained a PhD in biochemistry at Tohoku University in 1966. During 1957-1978, he worked as a biochemist at Sankyo Co. He had been appointed as a full Professor at the Tokyo University of Agriculture and Technology from 1986 to 1997. After retirement, he obtained the post of Directorship of Biopharm Research Laboratories Inc. He also serves as a Professor on Special Mission at Tohoku University and Waseda University, and a Visiting Professor at Kanazawa University and Hitosubashi University.